Wi-Fi is obviously more convenient than wired Ethernet cables. But Ethernet still offers advantages — faster speeds, lower latency, and no wireless interference problems. You probably won’t be connecting an Ethernet cable to your smartphone any time soon. But this matters when dealing with desktop PCs, laptops at desks, game consoles, TV-streaming boxes, and other devices. 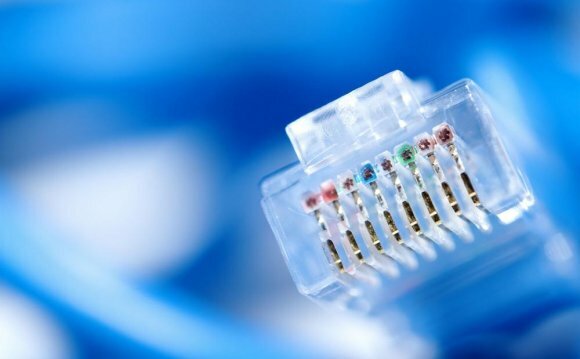 How Much Faster is Ethernet? Ethernet is just plain faster than Wi-Fi; there’s no getting around that. But the real-world differences are smaller than you might think. Wi-Fi has gotten significantly faster over the last few years thanks to new standards like 802.11ac and 802.11n, which offer maximum speeds of 866.7 Mb/s and 150 Mb/s, respectively. This is a maximum speed for all the devices on your network to share, and you likely won’t get anywhere near close to these speeds — but Wi-Fi is much faster than it used to be. On the other hand, a wired Ethernet connection can theoretically offer up to 10 Gb/s, if you have a Cat-6 cable. The exact maximum speed of your Ethernet cable depends on the type of Ethernet cable you’re using. However, even the Cat-5e cable in common use supports for up to 1 Gb/s. But your Internet connection is the real bottleneck — it’s the slowest part of the system. Your Internet connection is likely nowhere near close to capping out your Wi-Fi connection speed, so just switching to Ethernet probably won’t speed things up. Local connection speeds between devices on your network are affected by this. For example, if you want to transfer files as fast as possible between computers or devices in the same house or otherwise on the same local network, you’ll want to use Ethernet instead of Wi-Fi — and ideally at least Cat-6 cables instead of Cat-5e ones. Your Internet connection isn’t involved in this, so it’s all up to the maximum speeds your local network hardware can provide. But even this only matters if you regularly transfer large amounts of data between your computers and you want it to be as fast as possible. You can test this by running several Internet connection speed tests, once while on Wi-Fi and once while connected to Ethernet. You shouldn’t see a difference. If you’re curious about local file transfers, try transferring a large file between two computers while they’re both connected to Ethernet and while they’re both connected to Wi-Fi. You should see a difference between those.